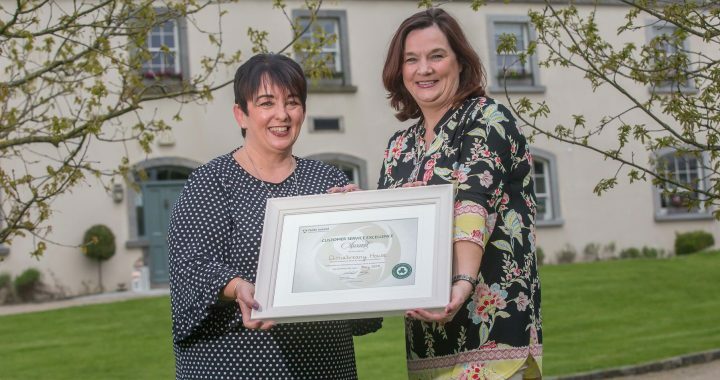 May 2018 – We’re delighted to become the first venue in Meath to complete Fáilte Ireland’s Accredited Services Excellence Programme. Speaking at the presentation of the accreditation to Clonabreany House, Martina Bromley, Head of Enterprise & Hospitality at Fáilte Ireland said that the Programme is an important aspect of Fáilte Ireland’s business development and training supports. Posted in Clonabreany Team, Customer Service, Weddings at Clonabreany and tagged Customer Service Excellence, Excellence Award, Our Team. ← Why We’re Perfect for You …. Why We’re Perfect for You ….